Editors Note: If there's anyone who properly puts their Stinner through the wringer, it's C.J. Covarrubias, a.k.a. @cjcovy on Instagram. C.J. is well-known in the Santa Barbara community for hosting the weekly Tuesday Night Views and Brews ride, posting some of the most breathtaking sunset photos from the highest points in the Santa Ynez, and surpassing 1,000,000 feet of climbing over 10,000+ miles of riding distance with ease every year. In short, there are few people more stoked on bikes than C.J. Here is a look into his latest epic ride, The Grapes of Wrath, in his own words. The Grapes of Wrath – A fitting name for a hors-catégorie ride and possibly the best weekend of bicycle raddery I’ve ever experienced. Just as Steinbeck was quoted in regard to his novel of the same name, “I’ve done my damnedest to rip a reader’s nerves to rags”, SamBarn Promotions definitely did everything in their power to deliver a ride that not only ripped our nerves to shreds, but our legs and souls were equally tenderized… Which is what I would expect from the crew responsible for the Rock Cobbler rides and countless other mountain, CX, and road race events in Bakersfield and the surrounding area. 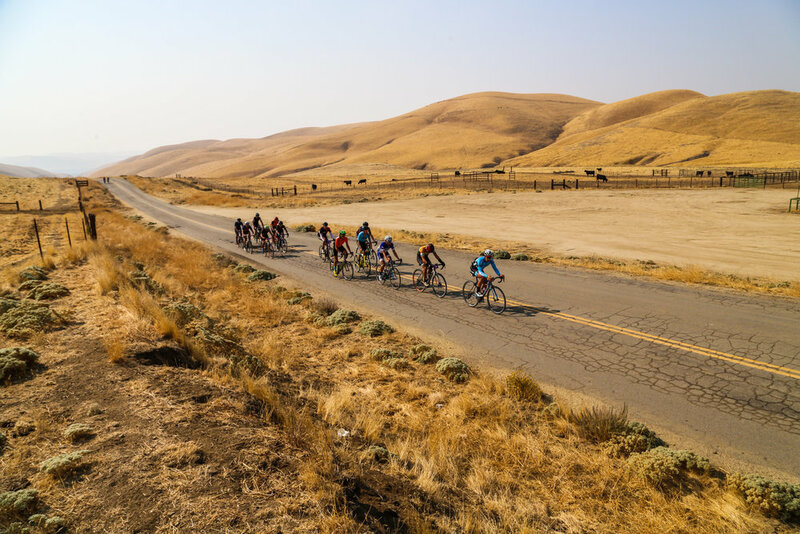 Held during a stacked fondo season this time of the year, in which multiple rides compete for participation, Grapes of Wrath delivers something special that sets it apart from the rest. The beauty of starting a ride in a place like Richgrove, CA (where?) is that it puts the riders in the middle of nowhere, but at the same time in the middle of so much. With a season’s worth of hours in the saddle by this time of year, the crew that shows up for this event were all frothing at the opportunity to ride the 138 miles featuring about 50% gravel/dirt roads and over 11,000 feet of ascending. The route would take us from the agricultural land of the VBZ, to the outskirts of Bakersfield, back into ag land, to the rolling foothills lined with oak trees, and eventually into the alpine surroundings of the Sequoia National Forest. Most of the riders chose to camp at the free camping location in the heart of VBZ’s vineyards. We arrived Friday night to a delicious and hearty chicken and pasta meal, with plenty of libations available. After all, we had to make sure we were pre-hydrating. 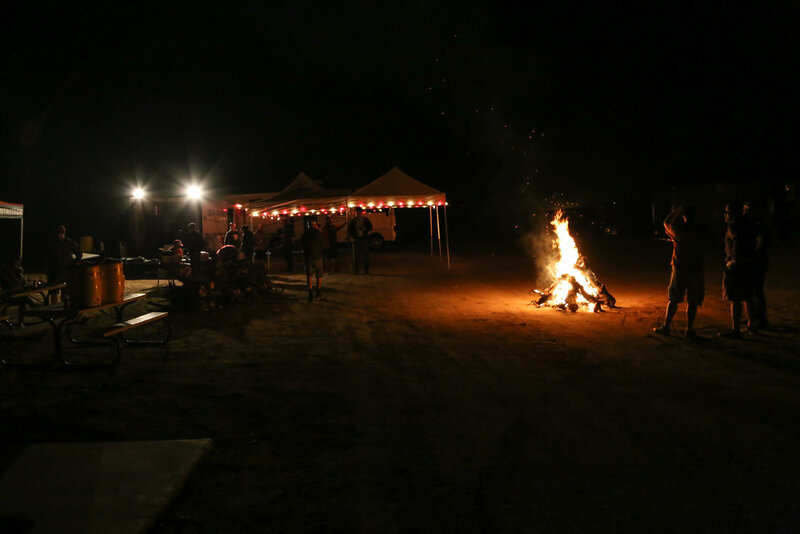 Camp fire hangs, introductions to new acquaintances, and hellos to old friends reconnected at yet another event that promised to test each rider’s mettle. Saturday morning began with coffee and breakfast burritos to fuel us up for the long day ahead. The first 30 miles or so were kept neutral as we were basically getting everyone to the good stuff all together. Initial miles were mainly dirt roads that wound their way through the many vineyards and orchards, then on to some uncrowded county roads. As typical with one of Sam’s rides, once on the dirt, the pace got a little more spirited and we wound through segments of the local MTB park and dirt in the foothills for a bit. After just enough dirt ups and downs to start softening the legs, we were eventually spit back out on the road and leading into the day’s biggest hurdle. Rancheria Road is an almost entirely packed dirt road that climbs from base to summit over 33 miles–yes, you read that right, a 33 mile climb–and delivers the rider to elevation over 6,000 feet, passing by Alta Sierra Ski Area. From there, another 45-50 miles of gradual descent and rolling hills wound the route back into the start/finish base camp. The lead group arrived in just over 9 hours, some of whom chose to take a post-ride dip in the irrigation reservoir. I couldn’t help but recall Chevy Chase in Caddyshack, “We have a pool and a pond out back; pond’d be good for you.” The last finisher came through at pretty much right on the 12 hour mark, rewarded with no doubt the most boisterous applause at the finish line, while the rest of the riders had been smashing food into our mouths and nursing our wounds with adult beverages in the time since crossing the line. Camaraderie levels were high. Talking stories, many cheers, plenty of food and drink, and campfire hangs went on into the night until our long day caught up with each of us, one-by-one retreating to our beds for the night. Sunday was a slow start as you can imagine. About half of the camp was packing up to head home, while the rest of us were enjoying an amazing chicken-fried steak and egg breakfast to help make up for the caloric debt produced the day before. We were also treated to a helluva speech by the first finisher of the GoW ride the day before. If you were there you were treated to pure gold. Many thanks to David Rous for the laugh, and congrats for smashing the ride. A 60-mile ride to help Neil Shirley celebrate his 40th lap around the sun was in store, at a much more relaxed pace, with maybe a road soda or two while on the bike or possibly a couple slugs from the Rosé at our pit stop. Not to mention, amazing Neil Shirley Birthday Ride t-shirts were worn by all! Upon return to camp, pizza and beer were waiting. 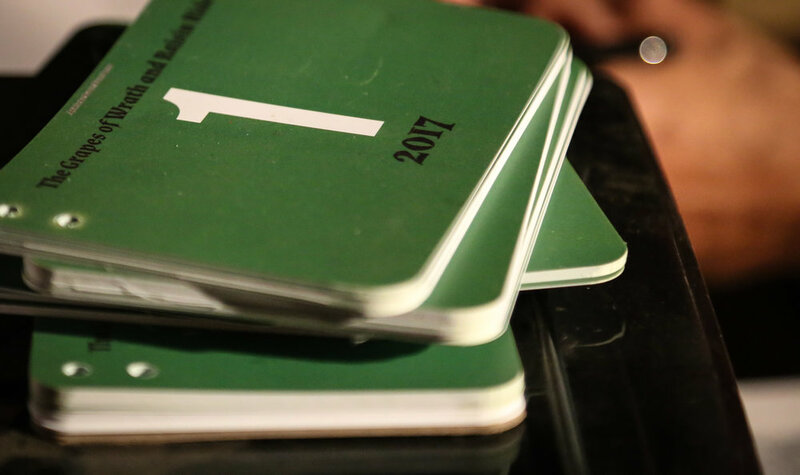 More stories, more laughs, even more smiles, and memories of the weekend recounted. A few chose to take another dip in the large agricultural reservoirs to cool down and rinse off the day’s efforts. With our bodies worked, cheeks sore from laughing and smiles, minds soaked with fun, bikes appropriately dirtied up, and voices almost completely gone from dust/dirt/campfire/yelling/hoots and hollers, the breakdown began. We were headed back to our own realities as we digested the massive amounts of awesome that went down. SamBarn has done it again and for that I thank them immensely. See you in February for the 5th annual Rock Cobbler and again next fall for the 3rd running of the Grapes of Wrath. I’d also like to extend my gratitude to everyone at Stinner Frameworks and Jones Precision wheels for keeping my two-wheeled steel fun machine shred ready, giving me full confidence that it’s up to any challenge I’m willing to put it through! C.J.’s Ride Data (I forgot to hit start, lost a couple miles) - Stoke levels too high to hit start!